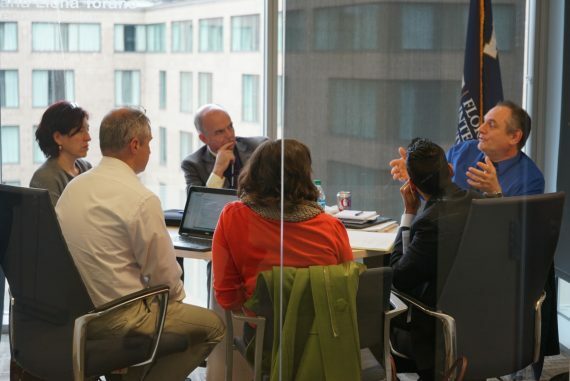 In advance of the upcoming 7th Annual Global Health Conference taking place at FIU this March, FIU’s Global Health Consortium brought representatives from around the world to Washington, D.C. to evaluate the strategies for monitoring and decreasing the impact of antimicrobial resistance. Gathering of international health experts in Washington, D.C. for GHC conference. FIU’s Global Health Consortium (GHC) hosted international public health leaders Jan. 26 and 27 at a conference on monitoring evaluating and combating antimicrobial resistance (AMR). The conference was co-hosted by the Pan American Health Organization (PAHO) and the World Health Organization (WHO). With 13 countries represented including Thailand, India, Latin American and European nations, the consortium served as the first global convening at FIU in Washington, D.C.
“There are only three countries in Latin America that have national programs combating antimicrobial resistance. These efforts will improve the action plan for the active implementation of those programs in the region and the Americas all together,” said Dr. Carlos Espinal, GHC director. For GHC members, the monitoring and evaluation of antimicrobial resistance is a major global health issue that needs to be addressed. Antimicrobial resistance means antibiotics are no longer effective in treating an infection; for countries around the world, particularly those that are economically vulnerable, AMR poses critical health implications. To those involved in the program, combating antibiotic resistant infection is a global responsibility. Representatives from the CDC and PAHO discuss concepts at AMR conference. Since its creation, FIU’s Global Health Consortium has created partnerships worldwide, becoming a leading health multidisciplinary network. Within the objectives of the consortium is a strong focus on public education and awareness on global health needs and challenges. GHC prioritizes and supports research on infectious diseases, promoting connections between research institutions in developed and developing countries. In addition to the core program, leaders from individual partners and member countries were able to have bi-lateral interactions on their specific programming, including PAHO and the U.S. Centers for Disease Control. 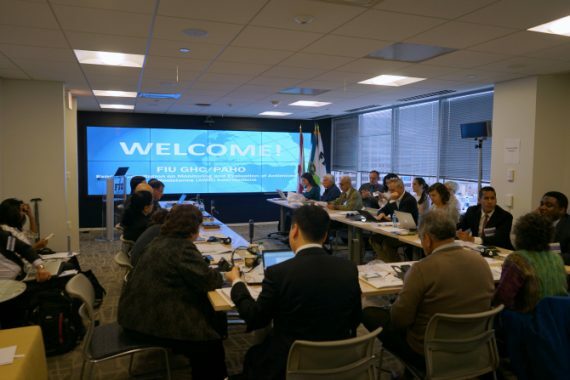 “This was an ideal environment to convene experts from Latin American and the Caribbean countries and the U.S. to evaluate the strategies for monitoring and evaluating interventions aimed at decreasing the impact of and containing AMR,” said Dr. Lina Bofill, of FIU’s Department of Health Promotion and Disease prevention. On March 8-9, the Global Health Consortium will host its 7th International Conference on Global Health in Miami, FL. Conference sessions will focus on climate change and health; health in immigrant population; emerging vector-borne diseases; antimicrobial resistance; Human Papilloma Virus; and vaccine-preventable diseases. For more information or to sign up to register, visit http://ghc.fiu.edu/ghc2017/. Connect with FIU in D.C.
Facebook: FIU in D.C. – Florida International University in Washington, D.C. Tags: Federal Relations × FIU in DC × global health conference × Washington D.C.